It'll be here in less than two weeks! The countdown has begun for the arrival of the 2018 Rockefeller Center Christmas tree! The Norway spruce, which is about 75 years old, comes from Wallkill, New York. The tree is 72 feet tall and 45 feet in diameter, and tips the scales at an estimated 12 tons. It is scheduled to be cut down on Nov. 8 and to arrive on Nov. 10, when it will be raised by a crane onto the plaza. The tree will be decorated with more than 50,000 multicolored LED lights stretching five miles, as well as a new Swarovski star designed by architect Daniel Libeskind. It will be lit at the 86th Rockefeller Center Tree Lighting on Nov. 28 and remain on view in the plaza until Jan. 7, 2019. 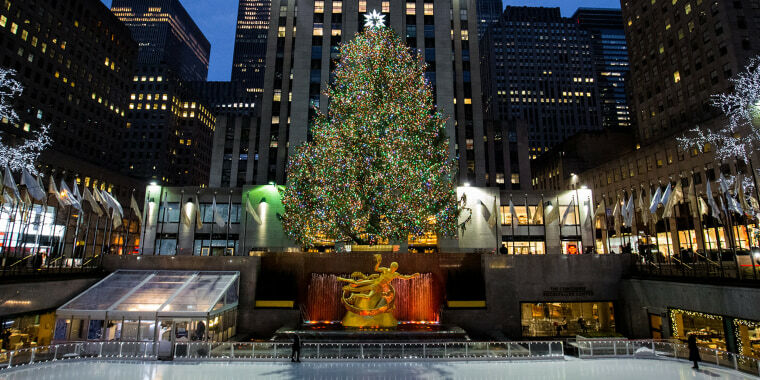 Once it is taken down, it will be donated to Habitat for Humanity, as has been the tradition with the Rockefeller Center Christmas tree since 2007. Each year, the tree is selected by Rockefeller Center head gardener Erik Pauze after he visits nurseries, receives tips from homeowners, and takes note of noteworthy contenders he passes.